How can writing be a healing process? Why do healers have a duty to be brave right now? 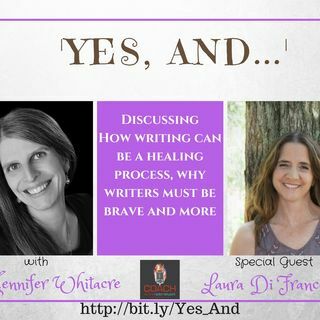 Brave Healer, Laura Di Franco, joins Jennifer to answer these questions and others. Laura Di Franco, MPT is the owner of Brave Healer ... See More Productions and the author of Brave Healing, a Guide for Your Journey, released by Possibilities Publishing Company this year. She’s a published poet and author, inspirational speaker, holistic physical therapist and third-degree black belt in Tae Kwon Do with over two decades of experience in healing. She was born to build a revolution of brave healers who are getting their badass, authentic voices published to heal the world with their words.